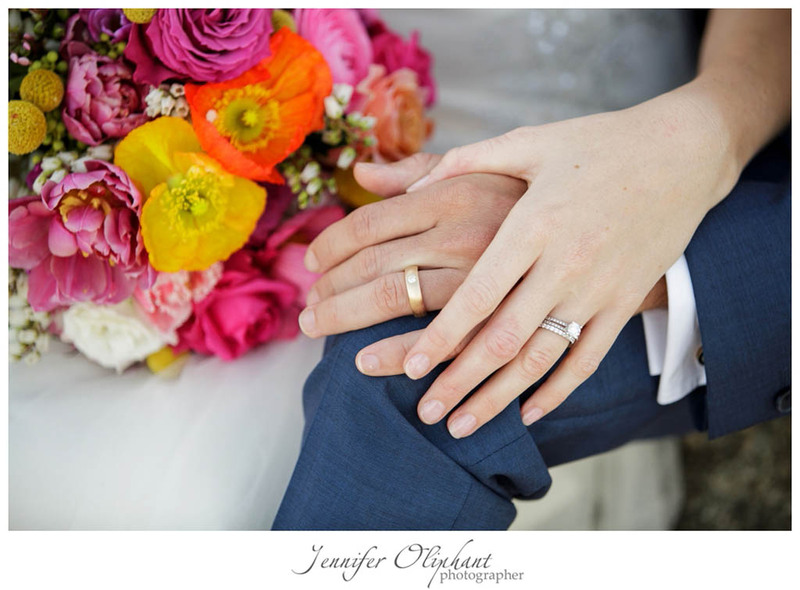 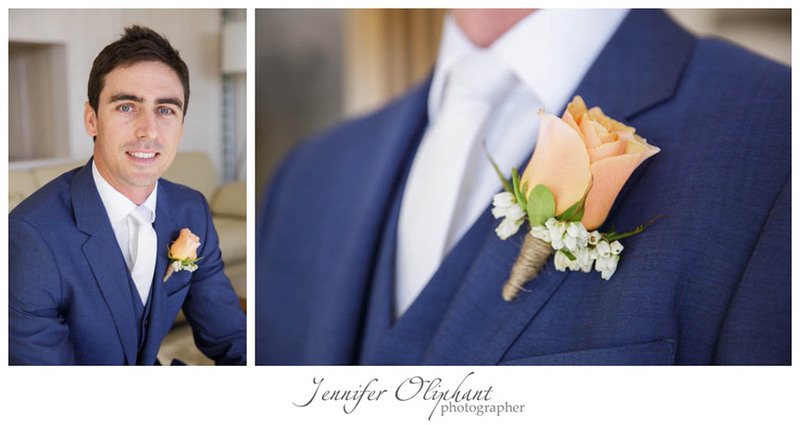 We are excited to share with you one of our favourite Spring weddings from 2014, there is something quite special about Spring weddings, the flower selection is always so wonderful and we loved so many aspects about this beautiful wedding, the colour, the floral blooms and the design concept, but most of all we loved Samantha! 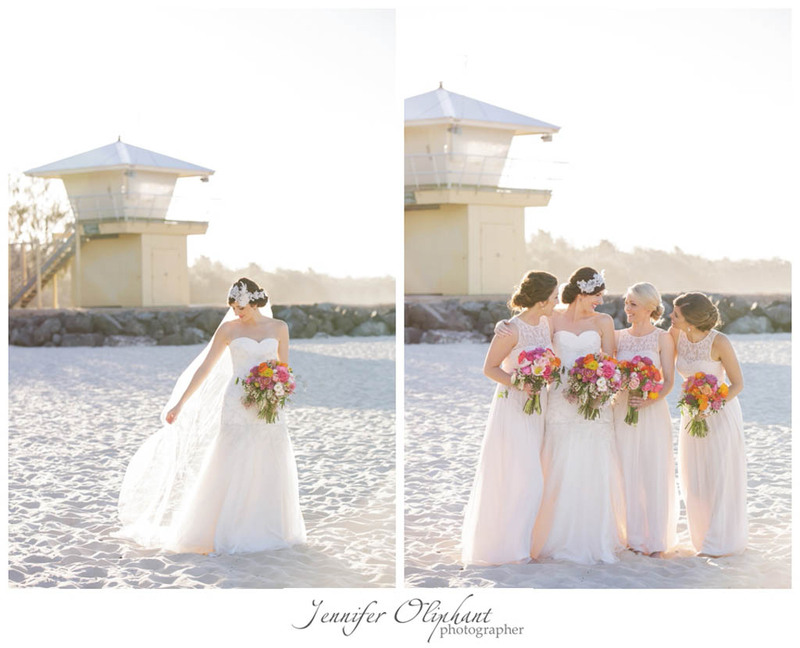 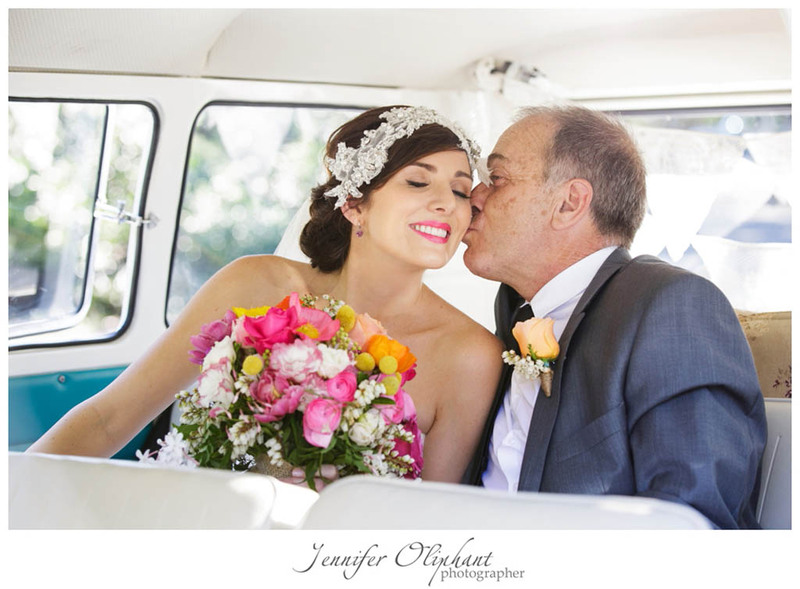 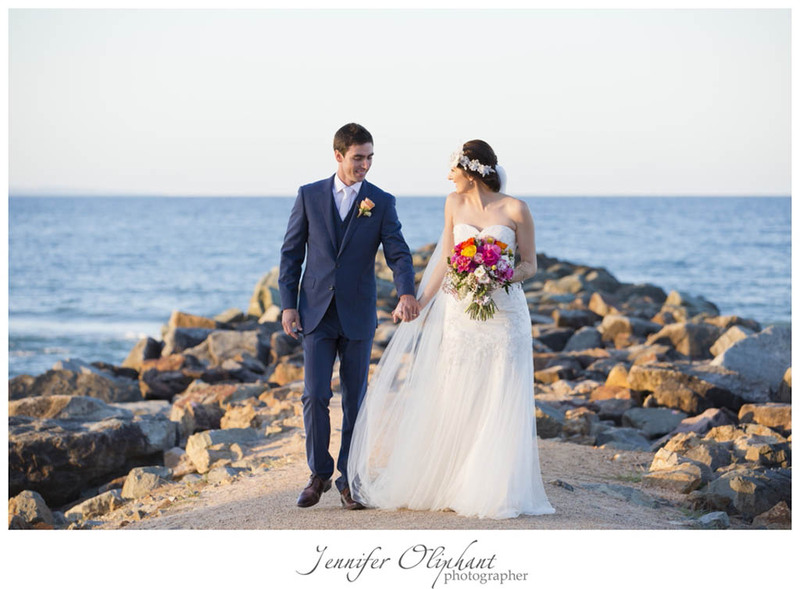 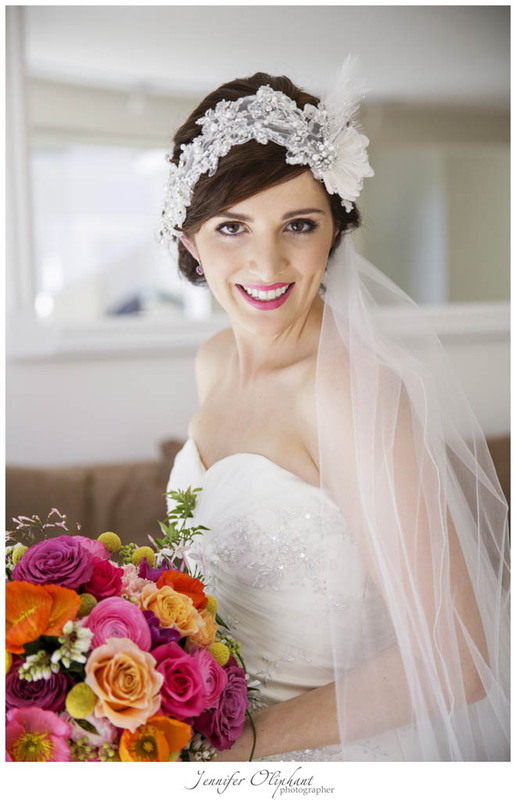 What a divine bride she was, as beautiful inside, and as you will see by the images by Jennifer Oliphant photography, as she was out, beautiful Sammie was a simply stunning bride-to-be with a whole lot of gorgeous style! 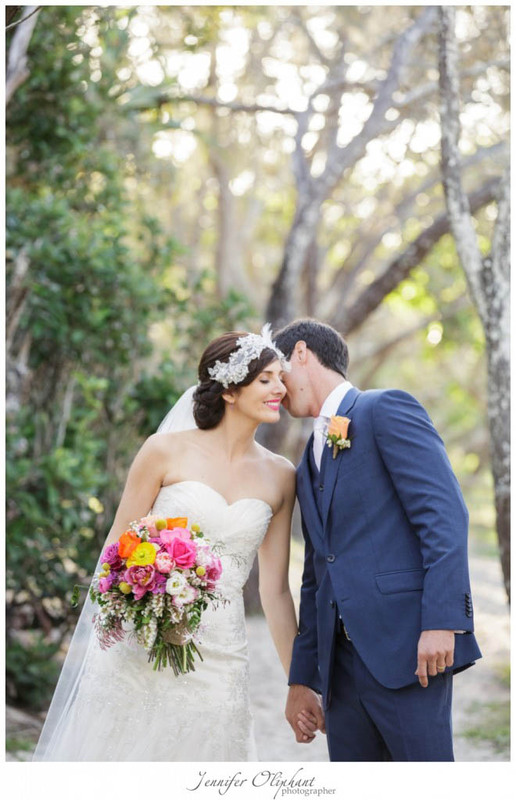 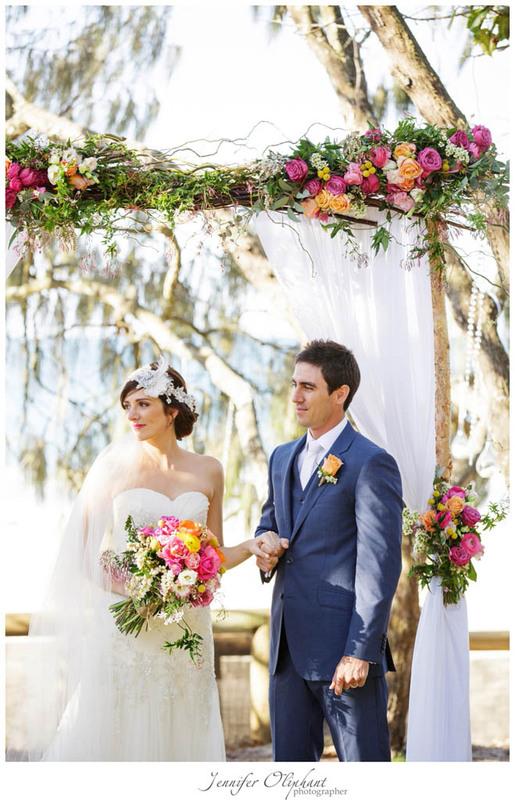 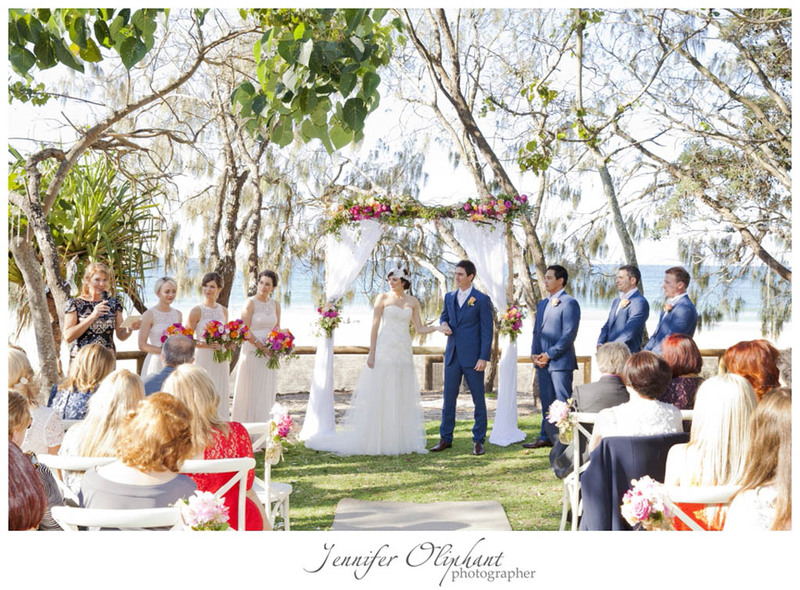 I loved our meetings and it was an absolute delight to get to know Sammie while developing a concept for her wedding day and creating this delicious floral vision for their Noosa wedding was a true delight! 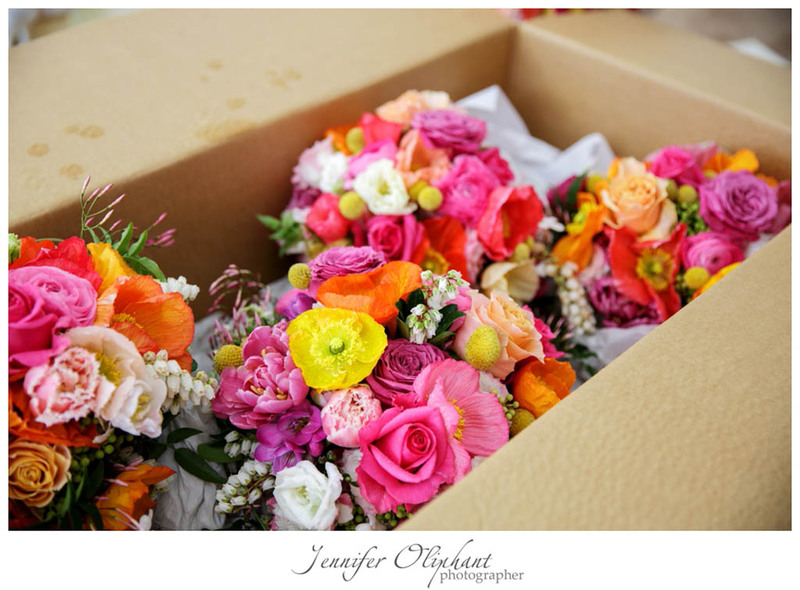 When we delivered the beautiful boxes of blooms, Sammie screamed with excitement, it was quite the reaction, and it just made us love her more! 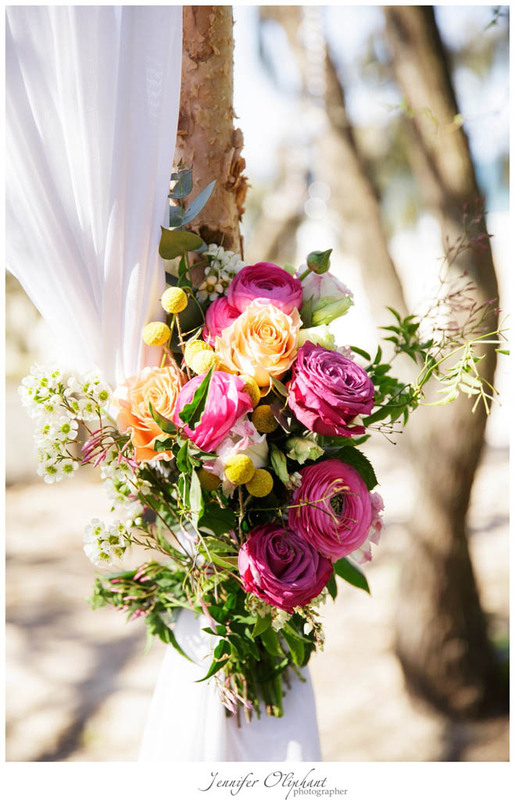 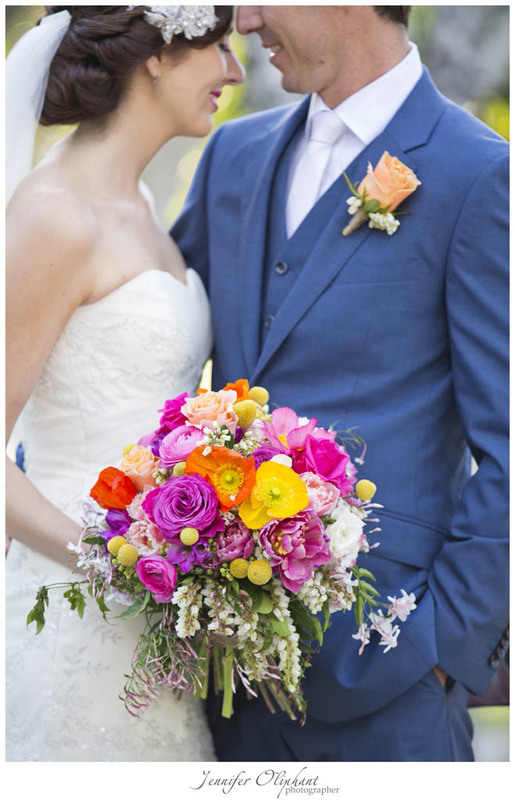 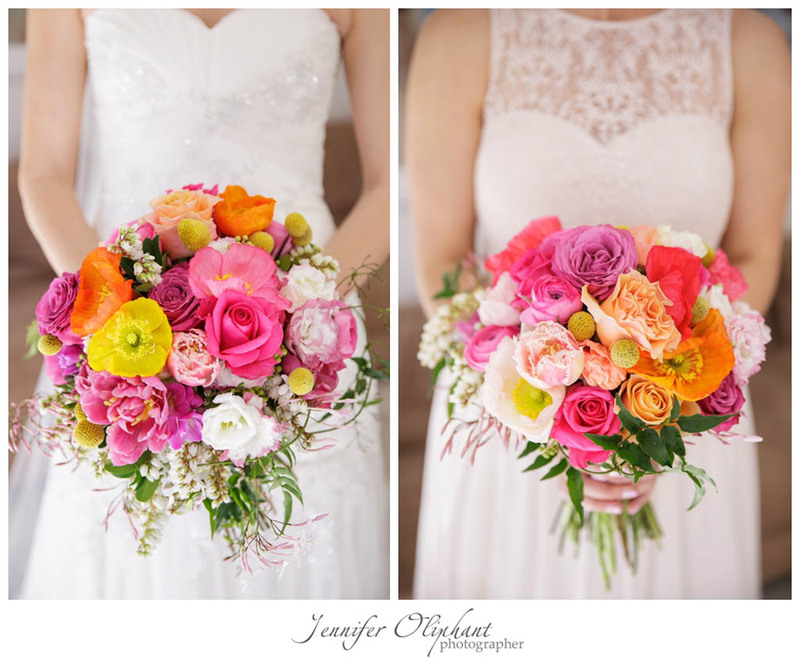 The bridal bouquets featured an array of colour with poppies, cottage roses, double tulips, sweet pea, parrot tulips, lisianthus, ranunculus, Billy Buttons and also including flowering foliage’s and sweet jasmine. 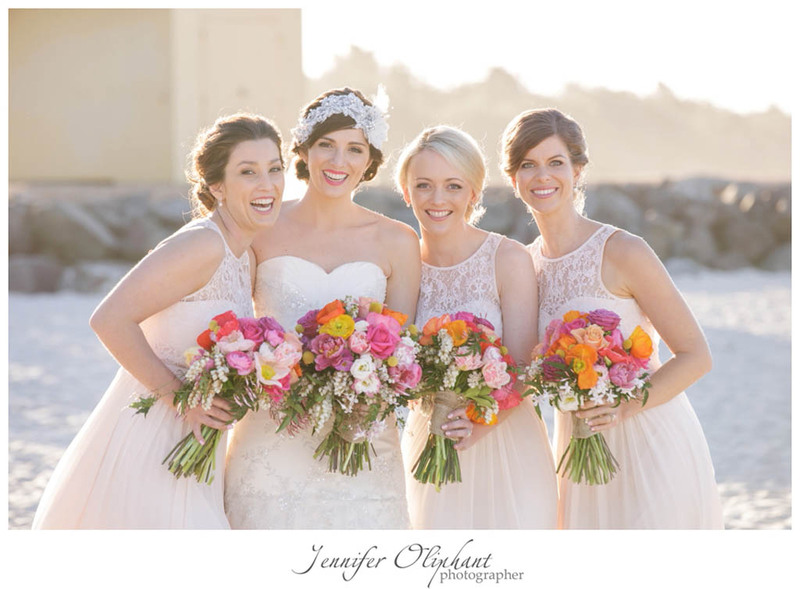 The punchy colour palette was the perfect accent against the blush and ivory hues of the girls gowns, and I simply adored the pop of pink lipstick that accented the colours in the bouquets. 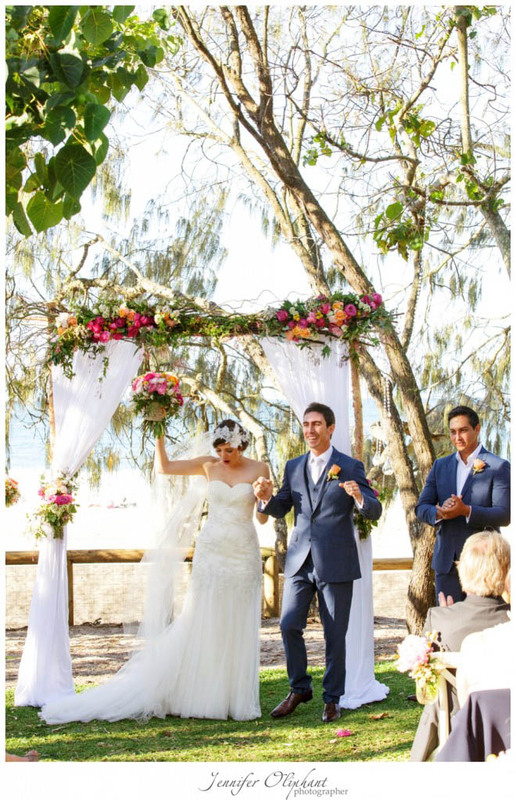 We loved creating the ceremony canopy florals featured on the rustic twig inspired branch structure at beautiful Hidden Grove. 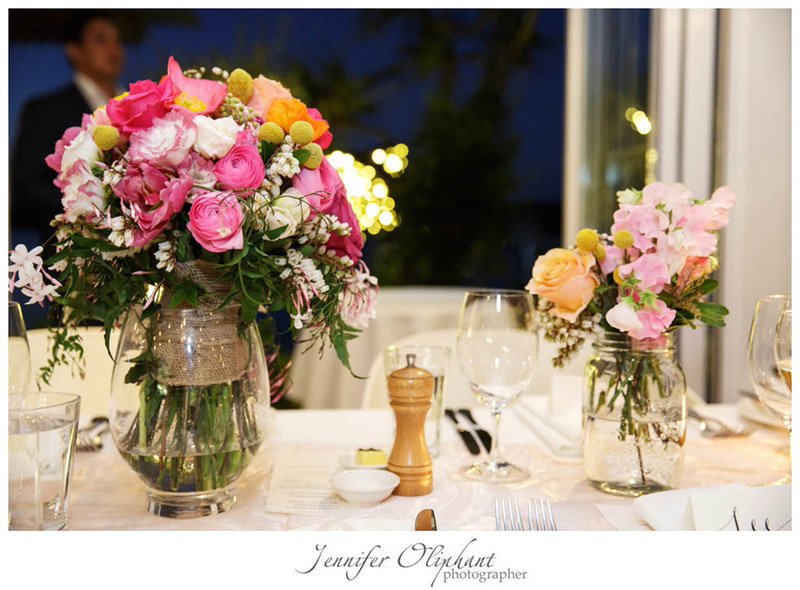 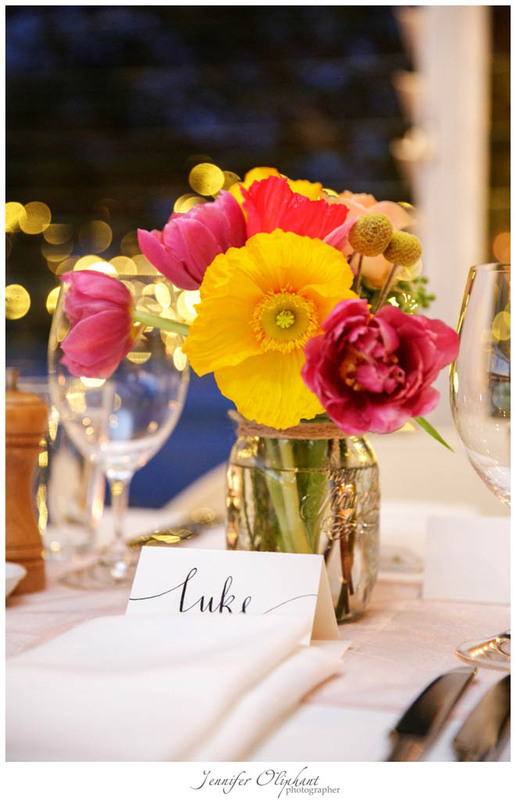 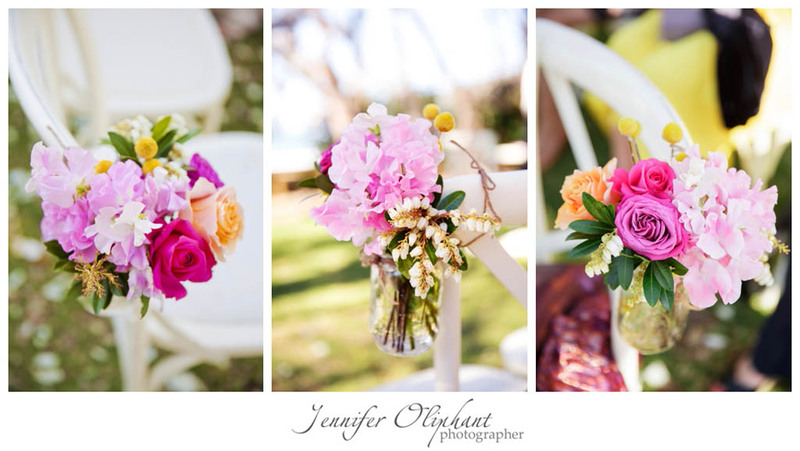 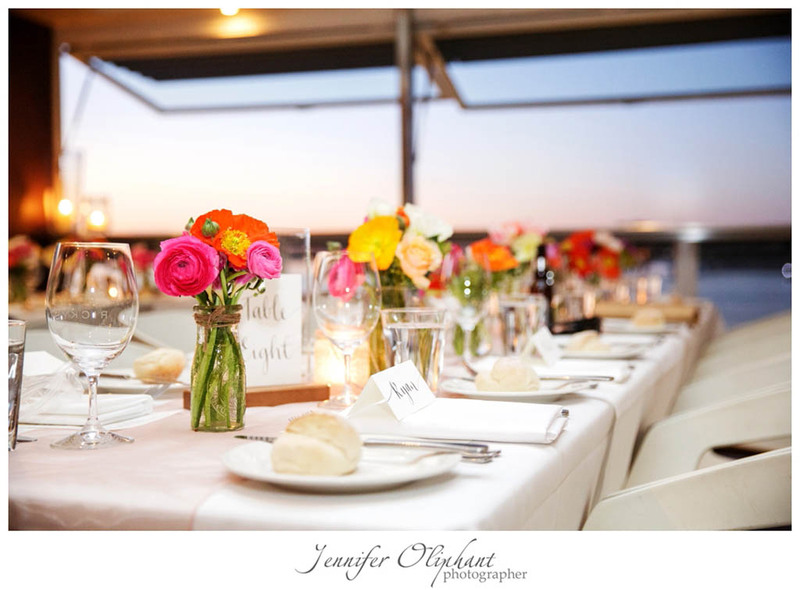 The reception at Ricky’s featured a selection of jars and bottles with the continuation of bright punchy blooms.